The BIGIT Technology Show Malaysia 2015 had a lot to showcase this year. What with being one of largest Enterprise Technology show in Malaysia, the diversity of topics was vast. Chief among them were speakers from the healthcare and medical domains, who addressed the core topic of whether technology is helping revolutionise the healthcare domain to its fullest extent. Find the informative piece covered by our IJ below. The BIGIT Technology Show Malaysia 2015 is the largest Enterprise Technology Show in Malaysia, which comprises of the BIGIT Exhibition and two concurrent Conferences - the 3rd Big Data World Show and IOT (Internet of Things) World Show. Being one of the speaker of both the conferences, Dr. Nipit Piravej, who is the Chief Executive Officer in the Bangkok Healthcare, Thailand had a joint presentation on the topic - “Revolutionising Healthcare Sectors with Sensor Technologies for Connected Health” with Dr. Ravinder Sachdev, the Deputy Chief Medical Informatics Officer from Tan Tock Seng Hospital in Singapore on the second day during the IOT conference. It is undeniable that the advanced development of technology has already played an important role in the healthcare sector which provides more conveniences and accuracies to not only the hospital, but also the patients. But, if we really look into it further, how good is the adoption of new technology in healthcare today and how can big data and IOT contribute to personalized treatment? “Outcome divided by cost”, has been emphasized twice by Dr. Nipit Pravej during the very start of the presentation as the main concern on how technology can improve the results, which at the same time, is cost effective without affecting the income of the doctors. He believed that it can definitely be done if the company as part of the stakeholders are able to monitor properly and redesign on the new technology today by putting adoptive care model as one main consideration in their design of new technology in healthcare. If a technology device is complicated and very hard for a doctor to use, then it will not be desirable. 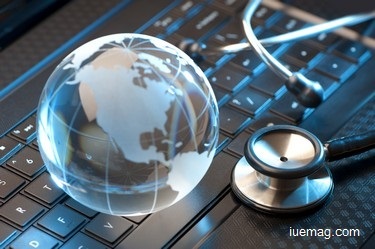 In the US, he said, incentives are already given out to eligible professionals who adopt “meaningful use” which means using certified electronic medical record (EMR) technology to improve the quality and efficiency of healthcare. It is the incentives that drive the use of technology, but in order for the application to be sustainable, it should be collaborative, so as the manufacturer, it is important to understand and find ways for the product to be friendly to not only the patients but also the doctors. Dr. Nipit also mentioned that he is against the one-shop-go concept in the health industry. This is simply because when patients fall sick, it can be different kind of sickness and for different sickness it is necessary to consult the right doctor who is specialised in that particular field. After a short interviewed with Dr. Nipit, he emphasized a lot on the user interface (UI), which means the junction between a user and a computer program and the need of the patients and doctors should be highly concerned for a new technology. Dr. Ravinder Sachdev, the next speaker of the presentation borrowed a slide from Eric Topol’s book “The Creative Destruction of Medicine” which he summarised the slide as “New Medicine is Equal to Old Medicine plus Technology.” But he did not think it was just that simple. He mentioned about Professor Larry Smarr who is an astrophysicist who turned a computer scientist, when ten years ago he started a project where he decided that every quantum of his life should be measured and digitalised in order to understand truly what are the factors that affected an individual’s health status. Through this concept of new medicine, potentially it is able to improve the healthcare of everyone. New medicine population health, another possibility that people talk about, will be looking at the care of the entire population, engaging with patients for them to lead a healthier lifestyle. But for this to happen, large amount of data about the population is needed. On the other side, personalised care is what people are concerning about today as it is not about treating someone with a diagnosis of a certain disease anymore, it is about treating the person consulting the doctor instead of treating the disease. It sounds that personalized medicine and population healthcare are of two extreme health provisions but technology is believed to be able to bring these two together and achieve great outcome. Dr. Ravinder proposed "Internet of Everything" which focuses on the people, process, data and things. It is not about how the device is going to work, but it is all about what data are we going to get, as the data must hit a certain standard and be available to everyone, in fact it is owned by individual in the end, not by the company. Technology in the healthcare sector is moving fast, along with the development of technology in other fields but with such advanced revolution, can healthcare services be on par and be adopted well? For instance, Dr. Ravinder mentioned that we are able to map the entire human genome now, but we still dont know what 80% of it is about. Hence, it is undeniable that technology is highly needed in the healthcare sector to enhance personalised treatment and also allow work to be more efficient, but at the same time, it is more important to understand that the technology should be assisting the healthcare, and not the other way round. IJ Then Chit Siew is a contributing writer at Inspiration Unlimited eMagazine.